So we had a great night Friday. 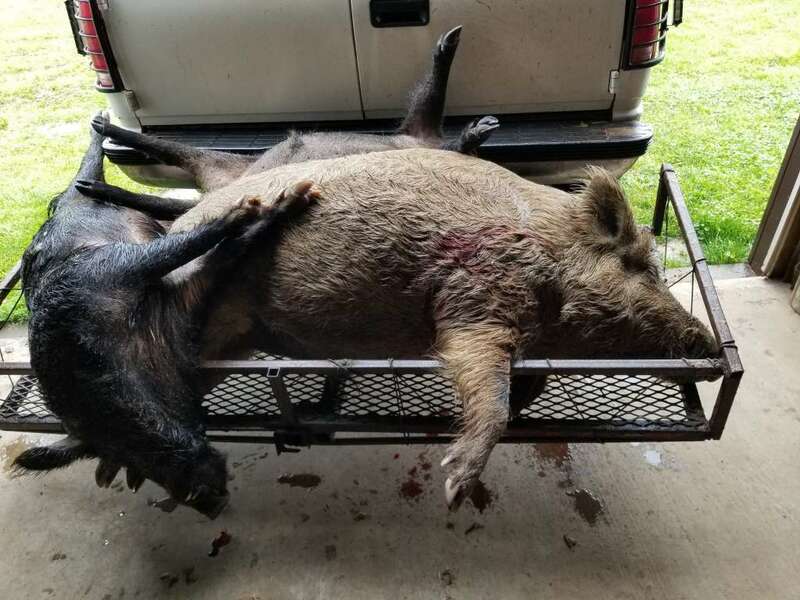 We shot a total of 5 pigs in a little over 2 hours. After shooting 3 loan boars we came across 2 pigs in some tall grass. Initially we thought they were a decent hog and a piglet. Turns out it was a giant and a nice boar. We stalked up to around 70 yards and due to rain and lightning we were kind of in a hurry. 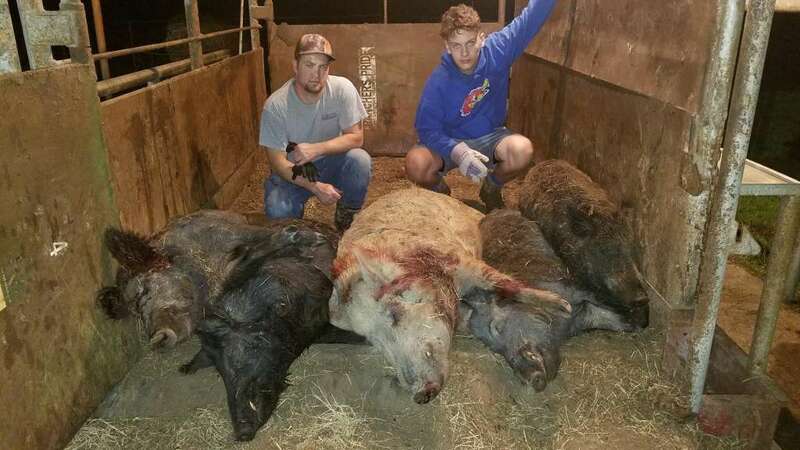 We got on them and my son and cousin shot the big one and I took the piglet. Both dropped instantly. We then took off for cover to get out of the rain. Once it slowed we went up to them and that is when we realized they had shot a special pig. After getting some help to load it up we went and weighed them on digital cow scales. Some of you may already know, but I thought this would be a good one to play the guessing game on. We got a weight on big pig and the 5 together. Guess away. Did he have nuts or was he a Barr hog? Yup, that's a big un. Like ST said, curious to know. Had to Google what that was. Learned a new term! Yes he was a Barr hog. First we've ever shot. For sure why he blew up. He was fat. 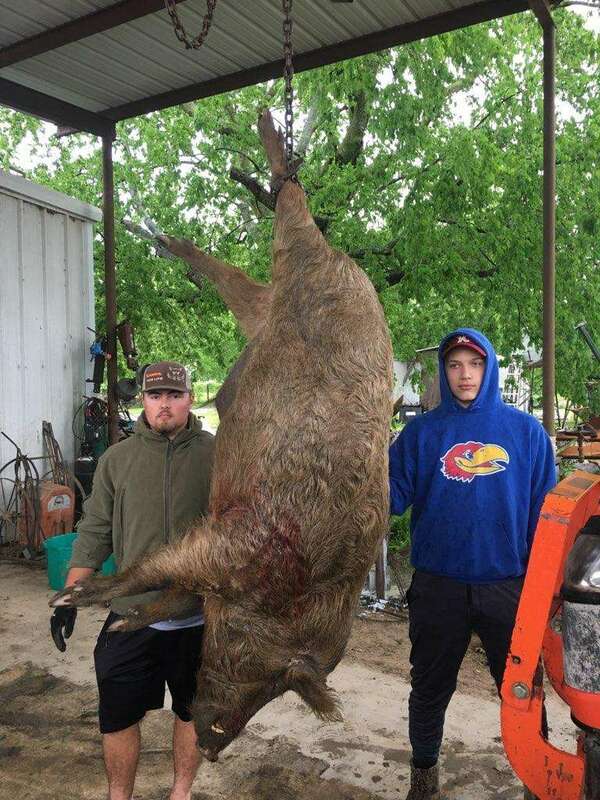 I figured he was you just don’t see many wild boars get that big. Regardless awesome trophy. that was my first thought as well. He is a TANK! Congrats! When are you going to tell us the weights?